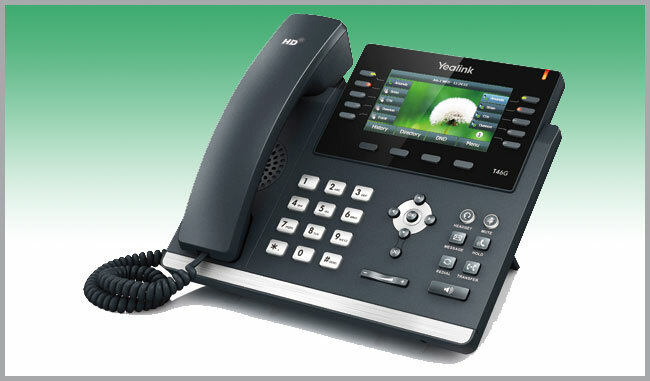 The SIP-T46G is a workhorse of a phone from Yealink. This stylish device packs some high-end features – including support for expansion modules – at a mid-range price. The SIP-T46G can handle moderate-to-heavy call loads, thanks to support for up to 16 SIP accounts. 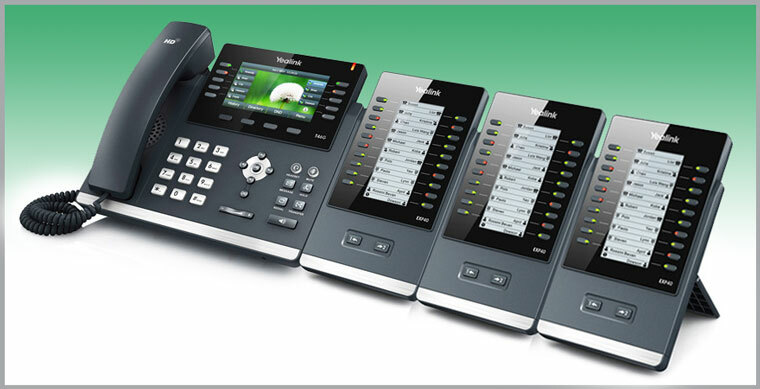 And the phone’s 10 physical programmable buttons make it easier to process all those calls. With a page toggle that allows you to access three options per button, you can have plenty of features and extensions at your fingertips. Program up to 27 features for maximum productivity. Need more? The T46G also supports up to 6 Expansion Modules, each with 20 physical buttons and a two-page toggle. That means you can add up to 240 additional buttons! That’s a lot of extensions. The other headline feature is an attractive 4.3” 480 x 272-pixel colour display. The screen is easy to read and easy to navigate – a big plus for those dealing with calls all day. The T46G has Yealink’s impressive Optima HD Voice for a high quality audio experience, and includes technology like full duplex echo cancellation and adaptive jitter buffer to ensure all your conversations sound their best. For connectivity, the phone features dual Gigabit Ethernet ports, POE and headset support via EHS or Bluetooth USB dongle. Overall, the T46G is a great-looking phone at an equally-great price. It offers lots of line capacity, and room to add extensions in the future. Bluetooth headset support via USB dongle.